Cleaning Grease Stains on Suede ShoesThis is a guide about cleaning grease stains on suede shoes. This kind of leather has a nap that can be powdered with corn starch to absorb the oil and brushed. Homemade Bird ToysThese toys can be expensive, but with a little imagination you can make interesting pet bird toys at home. 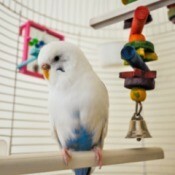 This guide is about making homemade bird toys. 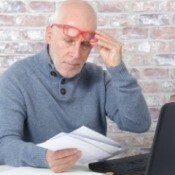 Is AARP Membership Worth the Investment?Although an inexpensive investment, this senior insurance company may not be exactly the membership you need. 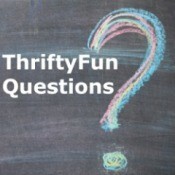 This is a guide about is AARP membership worth the investment? 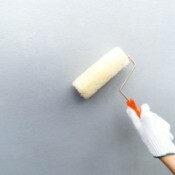 How Much Primer Should I Use?This guide is about how much primer should I use? A preparatory paint layer of paint will all be covered up by the final paint, but you don't want dark paint or marks showing through. How to Make a Matching Curly Gift BowWhy pay for a gift bow when you can easily make one to match from left over gift wrap. 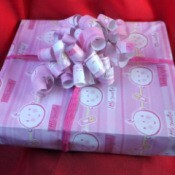 This will give your gift wrapping a sophisticated and professional finish. 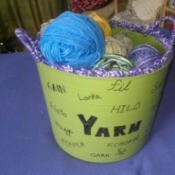 Multi-linguistic Yarn TubI got this tub in a free box at a yard sale. With some research online, I was able to write the word "yarn" in other languages. It was very interesting. You could do the same with coffee, tea, or any other thing you hold dear. Homemade Shake and BakeI make my own shake and bake base. It's easy. In a large jar, I add all my leftover bits of broken chips, pretzels, bread crumbs and cereal crumbs when the cereal container is empty. 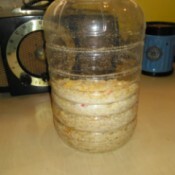 Each time I add to my crumb jar, I give it a shake so all the crumbs are mixed. Right before I use it, I take some out, put it into a ziplock bag, and use the rolling pin on it to make the crumbs smaller if needed. When I need a coating for chicken, pork chops or to add to meatloaf, I use from this jar. 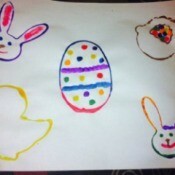 Easter Eggs and Cookie Cutter PaintingsIf you are in search of creative materials for your kids to paint with this Easter, try cookie cutters and plastic eggs. There are so many types and sizes to choose from! These simple paintings are perfect for preschool and elementary age children. 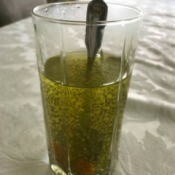 Morning Chia Detox DrinkStart your day with a boost with this healthy morning detox drink featuring simple ingredients! Name Ideas for a Graphic Design BusinessI am just starting a new business of graphic design and I do all types of design. Please suggest a name, should be nice and easy to read to an Indian customer. 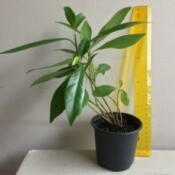 Can Someone Identify This Plant?This plant was part of an arrangement that was given at the funeral for my mother-in-law. I separated the 5 plants that were in the arrangement, potted them up and identified the other 4. This one is a mystery. Volleyball Craft Project IdeasI need a craft for a volleyball project that I am doing. GFCI and Other Sockets Not WorkingI am remodeling my kitchen and this includes replacing all the outlets. I had a built in oven and a counter stove and so I took all the extra electrical I didn't need and closed them off with wire nuts. I replaced the wired appliances with outlets and one of the light switchesl. Now all my 7 sockets aren't working. Dyeing Roots DarkerI just dyed my hair the problem is the top of my hair is now so much lighter then the rest of my hair which is now a medium brown with some red tinges. I bought a light golden brown, but I have not dyed my roots since October so now it's uneven. How soon can I fix this? Effects of Medications on a PermI am trying to find out where I can get a list of medications that will cause a perm not to take. I have been looking for a list. If anyone knows or has a list please let me know. Making an Egg Shell Colored Dress WhiterMy wedding dress is just a regular dress that was white lace on top of a beige slip, I got the slip changed to white so it would be more bridal. It is attached to the dress. 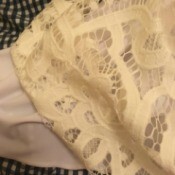 I'd like the lace to be whiter to fit better with the rest of my accessories and the super white slip. Duck Not Sitting on EggsMy duck disappeared about a month ago. I didn't know my duck had about 12 eggs. The father is still around, but idk if he sits on the eggs or what. What should I do with the eggs?